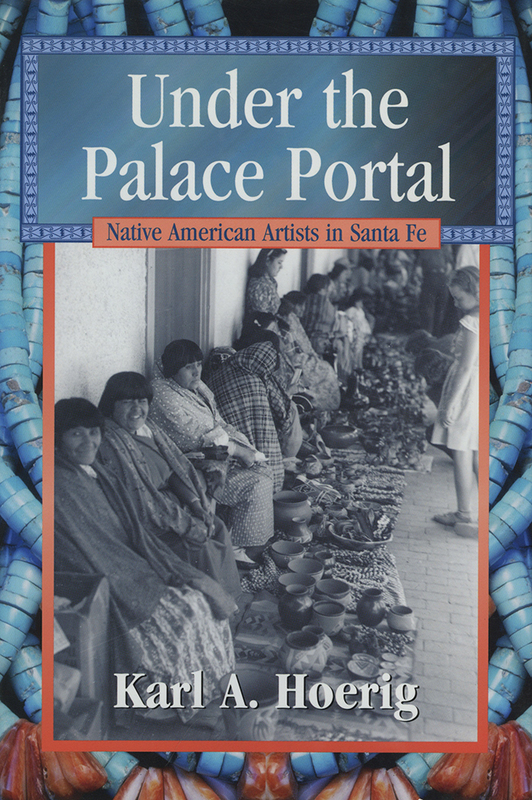 The daily Native American art market at the Palace of the Governors is Santa Fe, New Mexico's most popular tourist attraction. Known as the Portal Program for its location under the front portal, or porch, of the Palace, the program is descended from informal markets held in the same location since the mid-nineteenth century. Officially recognized as an educational program by the Museum of New Mexico, the Portal is reserved for Native artists who display and sell work they and members of their families have made. It is more than just a good place to sell authentic indigenous art. The Portal is a Native American-controlled workplace that supports hundreds of families throughout New Mexico. As a museum program, it is an instructive example of how Native people and state institutions can work together to promote understanding and to support indigenous cultures. The Portal is also a place of dynamic interaction among a diverse group of Native American artists and visitors from around the world. Karl Hoerig has worked collaboratively with the program's participants since 1995. Utilizing extensive interview extracts, this history and ethnography explores the Portal from the inside out. Karl A. Hoerig holds a Ph.D. in Cultural Anthropology from the University of Arizona. He is the director of Nohwike’ Bágowa, the White Mountain Apache Cultural Center and Museum at Fort Apache, Arizona.